This one is lighted with artificial lights from 2 directions - shot on a black backdrop, a persian rug, and with a cool chair. This is a good shot to show off a whole costume. I'm going to write a tutorial on how to take smashing 1920s-style photographs, but first I want to provide you with some inspiration and reference. 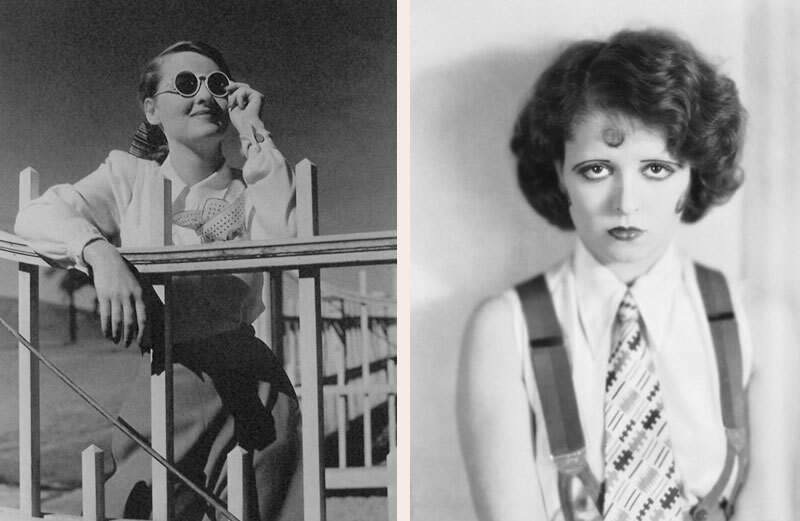 These are real portraits from the 1920s. I apologize that some of them I don't know who they are or where on the internet I snagged them, but I'll cite for everything I do have info for. the light - where is it coming from? In the next post I'm going to show you how you can make a photo of yourself or a friend have the same look and feel as one of these old snaps, with simple equipment and a little creativity. Appears to use daylight. Sepia tone. Nice hair. Focus is on the eyes. A great example of a Vamp ("Society Vampire"), a nice juxtaposition to all the pretty, soft, girly portraits. 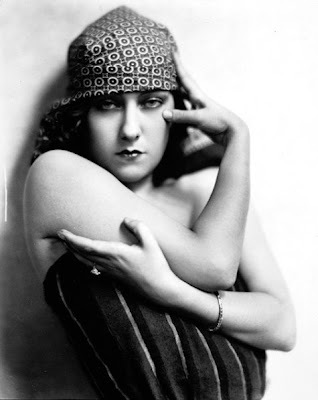 Gloria Swanson. 1920s photo by Fred R. Archer. Looks like it may be artificially lighted (the shadow under the nose and chin point to this), but with much bouncing of light going on. No info, sorry! Artificially lighted, but could also be accomplished with natural light. 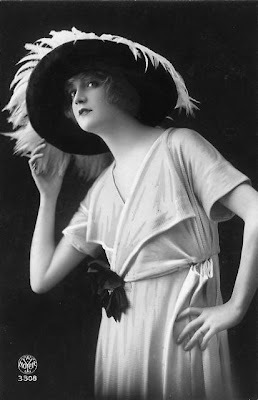 Great pose, hat and dress. No info again, sorry. Great portrait - looks like natural light, and wonderful use of soft focus. 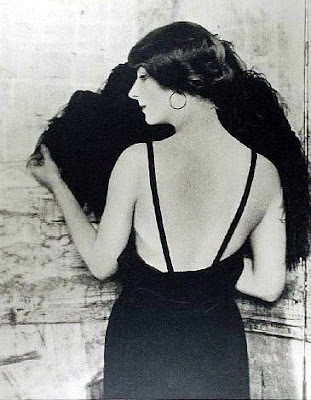 A photo by Baron Adolph de Meyer. Purposefully overexposed for a hazy effect. White vignette instead of black. Looks naturally lighted. 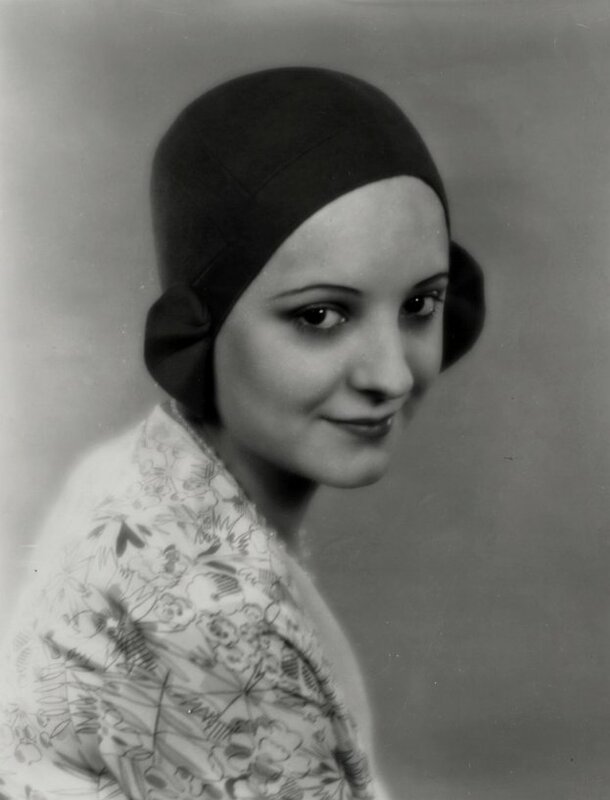 Another by Baron Adolph de Meyer, also looks naturally lighted. Clara Bow, on the right (ignore Bette on the left, it's 1940s). Clara's probably artificially lighted, but similar effect could be achieved with natural light. Check out her expression, tilt of her head, and costume. 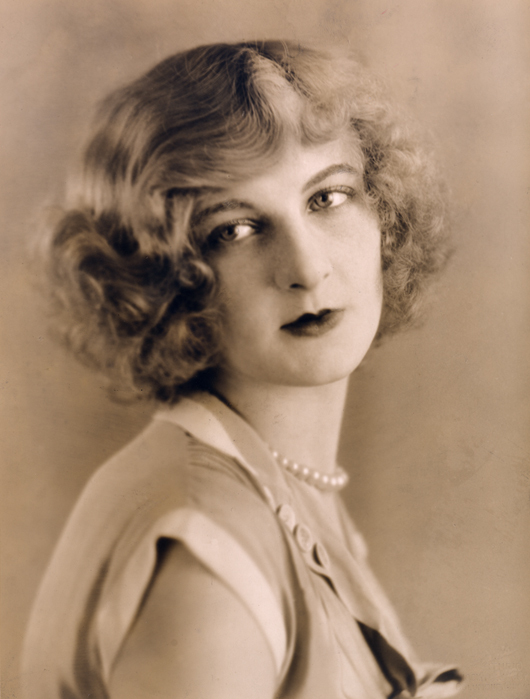 Dorothy Flood. LOVE this photo. What's so striking is the black-on-black effect that frames her face and decolletage. Artificially lighted, but could be achieved with daylight too. 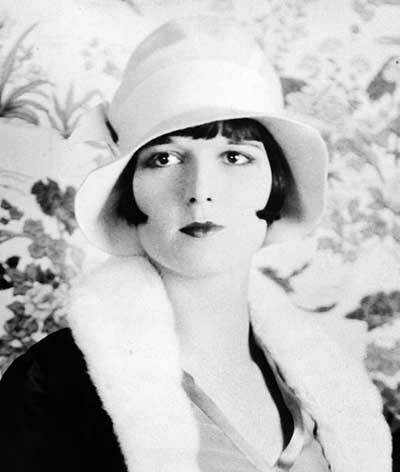 Louise Brooks - hat, fur collar, and complex background. It doesn't always have to be a solid color. Notice how she's looking away from the camera, too. 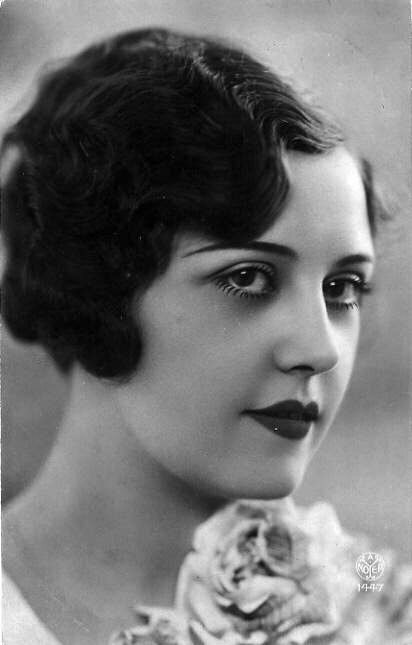 Lilyan Tashman, by Melbourne Spurr. The pose, the eye-framing hat. This is artificially lighted - you can tell from the strong shadow to the right of her. Film quality is so-so, and it's quite blurry. 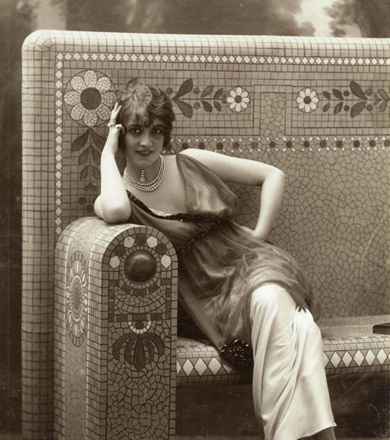 No info on this one, but I love her pose, and the bench she's seated upon. Probably naturally lighted from skylights. Model Jule Andre. 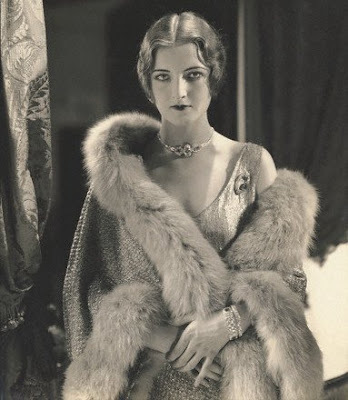 Classic 1920s photograph - furs, sprakly bits, and drapery for the backdrop. Artificially lighted from at least two directions. 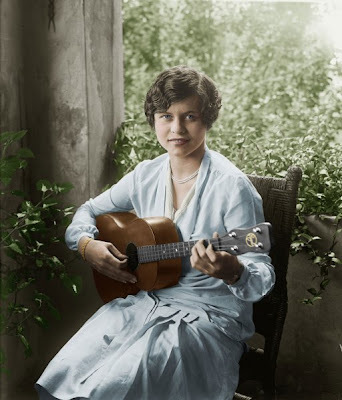 A beautiful example of a colorized photograph of Nancy Hamilton. Obviously naturally lighted, outside. 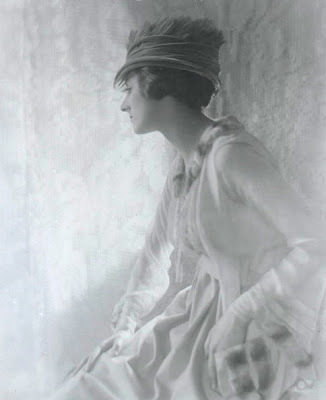 October 1920, Vanity Fair. Naturally lighted with BIG windows, possibly with shears to diffuse the light. A Ziegfeld girl, Ruby Keeler, possibly naturally lighted in a loft with skylights. 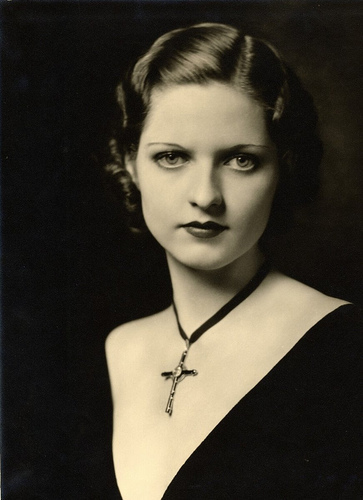 Another Ziegfeld girl, naturally lighted. 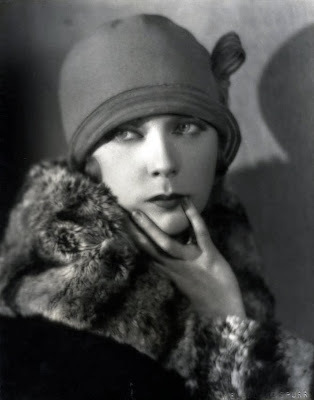 You don't have to take your clothes off, but kimonos and pearls make great 1920s accessories. This has been my favorite post you've done, I think. I love the insight on the photography, very very cool. Cause if you don't, you need to stop and get one now. No exceptions. Very interesting! Can't wait to see your instructions on achieving the same look. Lauren, the third picture from the top, the Vamp is Gloria Swanson. 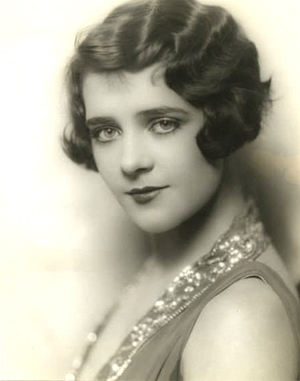 The next to the last picture of a showgirl, is really a young Ruby Keeler, actress. I love the post as always. I love these types of portraits. I have one of my grandmother and my uncle that is pretty cool like these. Such a visually pretty time. It really was. 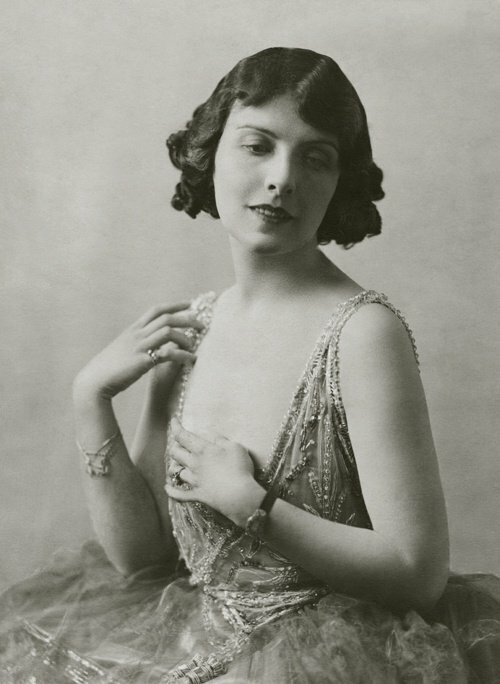 The history of photography is quite fascinating, and I think it really reached its highest art form in the 1920s through 40s. Such beautiful photos, lighting, and finishing. I love the third to last and last photos, in an era where women bound their breasts and tried to look like young men, the women in these two images look like they are trying to find theirs, or at least draw attention to them. Tee hee. Beautiful post, gorgeous photos, thanks for putting them up.